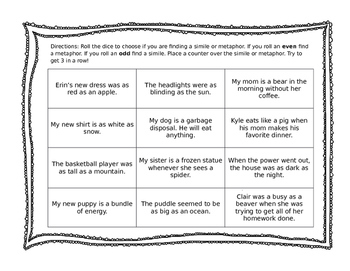 Practice simile and metaphor identification with this fun game! Students roll dice and try to get three in a row. This is a great center or review option.